Monique Owens has earned a master of public administration (M.P.A.) degree, attaining a 3.85 GPA while working full time as a documentation and learning specialist for Open Buffalo, a nonprofit activist organization dedicated to social and economic justice. She will receive the SUNY Chancellor’s Award for Graduate Student Excellence during the 5:00 p.m. master’s hooding and C.A.S. ceremony at Buffalo State’s 145th Commencement, Saturday, May 13, in the Sports Arena. A dedicated student, Owens is always well prepared for class, demonstrating a sophisticated understanding of public and nonprofit policy problems by critically analyzing and making insightful recommendations that have practical implications. Her leadership skills are enhanced by her diligence, perseverance, and sensitivity to the needs of others. Owens completed her master’s project on evaluating third-sector participation in emergency management planning and presented her findings at the annual meeting of the American Society for Public Administration, becoming the first Buffalo State M.P.A. student to present an academic paper at a national conference. In addition, she plans to submit her project for publication in a peer-reviewed journal. For her academic efforts, she was inducted into the Buffalo State chapter of Pi Alpha Alpha, the global honor society for public affairs and administration. 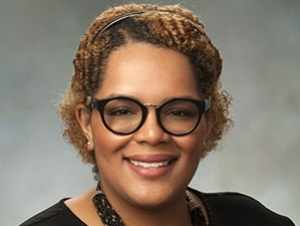 Beyond her academic accomplishments, Owens has shown a commitment to community service and the enhancement of social equity, working in Buffalo as an advocate for a variety of vulnerable and historically marginalized communities. An Erie County Democratic Committee member in Ellicott District 1 in 2016, she also completed the Open Buffalo Emerging Leaders Program in 2015 and served as a committee member for the Miss Borinquen of Western New York Leadership Development Program for young Latinas in 2016. In prior years, she worked as a community advocate in Long Island. Her goal is to continue her work on an international level to have a broader impact on communities in need of enhancement. With an energetic, outgoing personal demeanor, Owens has successfully maintained the highest level of academic standing while putting her research into action.